The auto industry already knows much about Maruti Baleno which is the latest entrant from B+ segment of Maruti Suzuki in India. 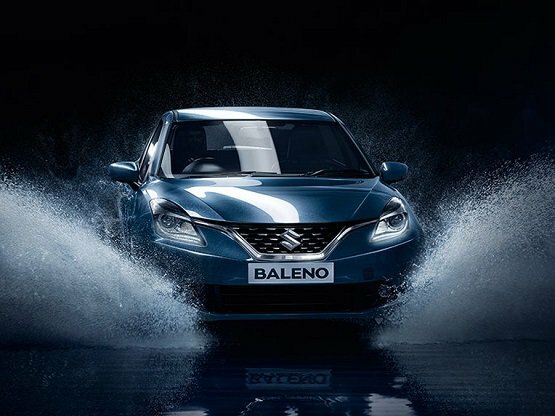 Baleno, the premium hatchback from Maruti Suzuki has gotten over whooping 40,000 bookings till now. This premium car which is only available in Nexa showrooms has been a great threat to successful Hyundai Elite i20. Maruti Baleno has been placed strategically above the Swift in Maruti Suzuki India’s line-up. Maruti Baleno missed out on a powerful diesel engine which could have given it an edge in the segment. The diesel version of Maruti Baleno currently features a Fiat sourced 1.3 -litre, Multijet diesel engine that even serves in some of its very popular cars like Swift. However, the power offered by existing diesel engine is 75 PS and a torque of 190 Nm. Maruti Suzuki is now said to be working on more powerful version of the 1.3 litre DDiS engine which is capable of generating 90 PS of power. The car weighs 100 kgs lighter than that of Maruti Swift, Maruti Baleno already has an advantage of a unified power-to-weight ratio thus providing a more power to the front wheels. Talking about the competitors of Maruti Baleno’s competitors, the existing diesel engine now gets a least power in the segment when compared to its rivals like Honda Jazz which offers 100 PS power and Hyundai Elite i20 that offers 90 PS from the 1.4 litre diesel engine. There is also other cars like Volkswagen’s performance version of Polo, GT TDI that is capable of generating 105 PS power and Fiat’s Punto that straightly delivers 93 PS of power from the existing 1.3 litre diesel engine. All in all, Maruti is in a real need of hatchback that delivers higher output to stay in the race with its competitors in the B+ segment. Maruti Suzuki India might also bring the SHVS technology to Baleno, which was introduced recently in other models like Maruti Ertiga MPV and Maruti Ciaz sedan. However there is no confirmation from Maruti Suzuki regarding the powerful diesel engine. One also has to wait and watch if MSI introduces SHVS technology to Baleno or not. Also read: Maruti Baleno colors offered: Red, Blue, Silver, Orange, White, Gray, Ray Blue.